Eli Harris Walker, a 29-year-old American, sat in a small cubicle at Beijing Language and Culture University (BLCU) and hunched over his computer. The clock was ticking and he didn't have much time left. Walker quickly skimmed through the questions in the reading section. The room was so quiet that all you could hear was the clattering of keyboards. That was half-a-year ago, but Walker, who works as the deputy academic director of Beijing No.8 High School's Sino-American Program, still remembers how intense it was when he sat for the HSK (Hanyu Shuiping Kaoshi, or Chinese Proficiency Test) level 6 exam last December. Level 6 is the highest level of the exam and requires test-takers to know at least 5,000 vocabulary words and to be capable of easily comprehending written and spoken Chinese as well as effectively expressing themselves in Chinese. "The reading section is very difficult," said Walker, who passed the test in the end. He took the HSK 6 because he needed it to pursue a master's degree in education at a Chinese university. Administered by the Chinese National Office of the Chinese Language Council International (also known as Hanban), an organization dedicated to spreading Chinese language and culture across the world, the HSK is China's only official standardized test measuring Chinese proficiency. Launched in 1992, the HSK has become increasingly prominent in recent years, as the number of students studying Chinese around the world grows. According to Hanban's statistics, 370,000 people took the HSK in 2013, the China Youth Daily reported in 2013. Kara Li, the academic director of Beijing's Wenhui Language School, said they have seen students at their school taking HSK tests at a growth rate of around 35 percent over the past two years. "The HSK is similar to the TOEFL (Test of English as a Foreign Language) in terms of serving as proof of one's Chinese proficiency," Li said. "Passing the HSK is a prerequisite for many universities in China. It has also been seen as an important reference for recruitment or promotion by more employers." How to become a high achiever? According to those who have scored well on HSK tests, a good grasp of grammar and vocabulary, as well as plenty of practice, are key to success. 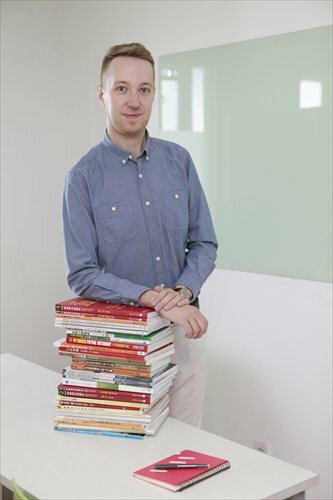 For Tim Hubbard, a 31-year-old Briton who works as the operations manager at a foreign education company in Beijing, the HSK 4 exam, which he passed last October, was not that difficult. "I did not think the test was too difficult as long as you grasp most of the vocabulary and grammar points by doing a lot of practice tests." Hubbard recommends that test takers start out by learning the characters and grammar in the HSK standard course textbook published by BLCU. In order to build his vocabulary, Hubbard, who is now preparing for the HSK 5, is mostly using textbook sample dialogues and grammar points as well as several apps, such as one that functions like flashcards. "The key to the exam is really learning the characters well. I haven't started the practice tests yet as I need to learn the characters better," said Hubbard. 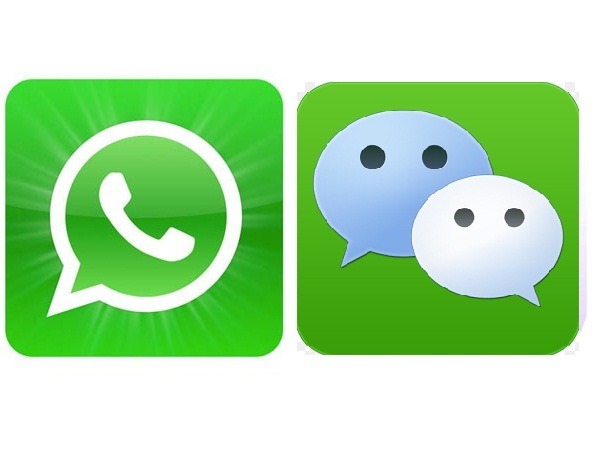 Jonathan Belz, a 31-year-old Australian who works in finance at Goldman Sachs and passed the HSK 6 in 2013, also recommends using different apps (such as ChinesePod, Pleco and Skritter) to build up vocabulary. He thinks that using flashcards is a good method. To learn characters, he uses lots of flashcards and reviews them every day, only moving them to every second or third day once he knows he's definitely memorized the character. To improve his grammar, Walker likes to take notes while reading, highlighting grammatical patterns he isn't familiar with, writing new examples, and testing them out in conversation. "I'll usually ask my Chinese friends if I've used it correctly, too. If it's not used a good six to eight times in a day or two, it's easy to forget." Once he's mastered the vocabulary and grammar, Hubbard said he moves on to simulated exam papers. "The HSK exam requires not only knowledge of the language, but the speed and technique to answer all of the questions in a limited time," said Alexander Krasnov, the director of LTL Mandarin School in Shanghai. "If you're motivated enough, you can work with a timer and previous tests and mock exams." While not everyone thinks that the HSK tests are necessary for success in studying Chinese, Hubbard believes that preparing for and taking the exams offer three main advantages. "First, it gives you evidence of your Chinese level, which is useful for applying for jobs or further study in China or overseas. Second, it gives you a target and makes your self-study more structured. Third, and the most important, it teaches you relevant characters and grammar that you will see again and again whilst living in China." He said that, for him, one of the HSK's biggest advantages has been providing motivation for learning Chinese. Before he started studying for the HSK 4, he already knew perhaps 70 to 80 percent of the words on the vocabulary list, but did not know the characters. "Studying for the HSK 4 allowed me to learn the characters. When I was learning, I started to notice all of the characters for the test in my daily life, which really gave me lots of motivation to continue," he said. "Naturally, no exam is 100 percent accurate, and people might be great at reading, but really bad at speaking or vice versa, but the HSK exam is a good measure of your internal knowledge of the language, and your understanding of the grammar and vocabulary, which is the first step to becoming fluent," said Krasnov. For others, like Belz, who now works in Australia, career development is a more central motivation. "It is important to have academic proof of your success in studying for the HSK. If you want to use it to help you find a job, this is a tangible bit of evidence to show employers, as well as something you can look back on and have pride," said Belz, who has his HSK 4 and 6 certifications listed on his Linkedin profile. Today, he boasts working-level fluency, uses Chinese daily for conversations or meetings with clients, and has gained the respect of business partners who appreciate his commitment to the language. According to Li, the HSK certification is also helpful for foreigners wanting to develop their careers in China. "The competition in the job market is very fierce right now, with many locals with good English abilities having replaced foreigners. Some foreigners are finding that being a native English speaker is no longer enough to find a job with high pay in China, and have realized that mastering Chinese and taking the HSK are becoming more important for them." For students who don't know which HSK level is right for them, Li advises referencing the vocabulary lists in the HSK textbooks and previous exams. According to the Ministry of Education, anyone who wants to pursue a bachelor's degree at a Chinese university must have passed the HSK 4, while for a master's degree, they must have passed at least the HSK 5. "Every year in our school, many students take the HSK 2-5, and fewer take 6. For those who use it as a motivation for learning Chinese, they usually pass one level, say 3 or 4, and then move on to the next one. For those who are using it for career purposes, HSK 4 might be enough to show that they are at a basic or intermediate level," said Li. Belz also suggests working with a teacher to figure out which levels to do. "I think level 4 and level 6 are the best levels - level 4 is a good level that shows you can get by with basic or intermediate Chinese, and level 6 will give you a strong foundation to target specific areas of Chinese that are of interest," said Belz. "But it is important to remember that studying for these exams is only the start, and you must live and learn." As for Hubbard, he's not yet sure if he will take the HSK 6. "Perhaps I will focus on another language or learning experience. I believe HSK 5 can show that you have a strong ability in Chinese and have heard that HSK 6 is much more difficult." He said that although HSK exams can provide evidence of your Chinese level, most companies will make their own judgments based on your experience and competency at the interview. Passing higher-level HSK exams will help improve your career prospects, but your skills and experience will still be most important.